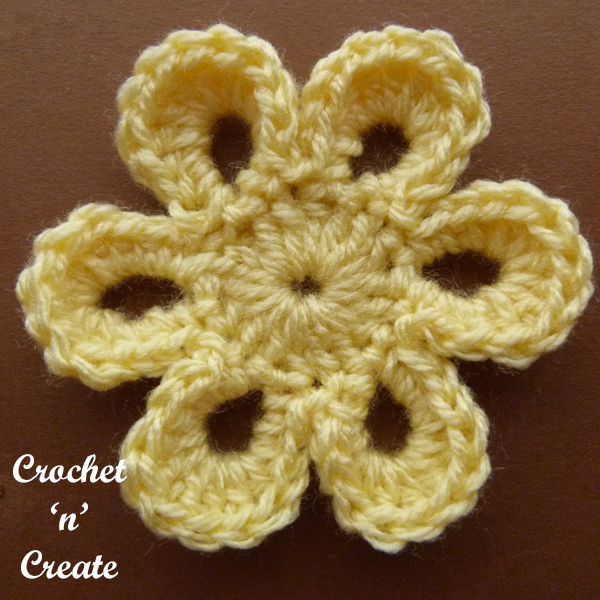 2nd Row – (Petals) * work (1sc, 2hdc, 6dc, 2hdc, 1sc) in ch8 loop, sl st in next dc, * rpt from * to * to end, working last sl st in the first sc on the beginning of row. 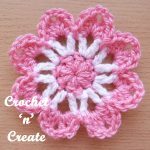 The written instructions and pictures for this crochet six petal flower free crochet pattern are copyrighted to crochet ‘n’ create © 2019. 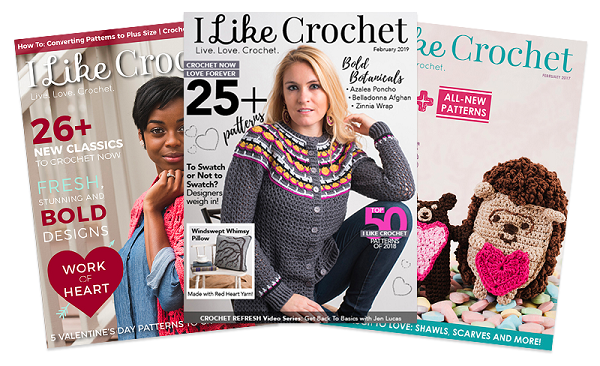 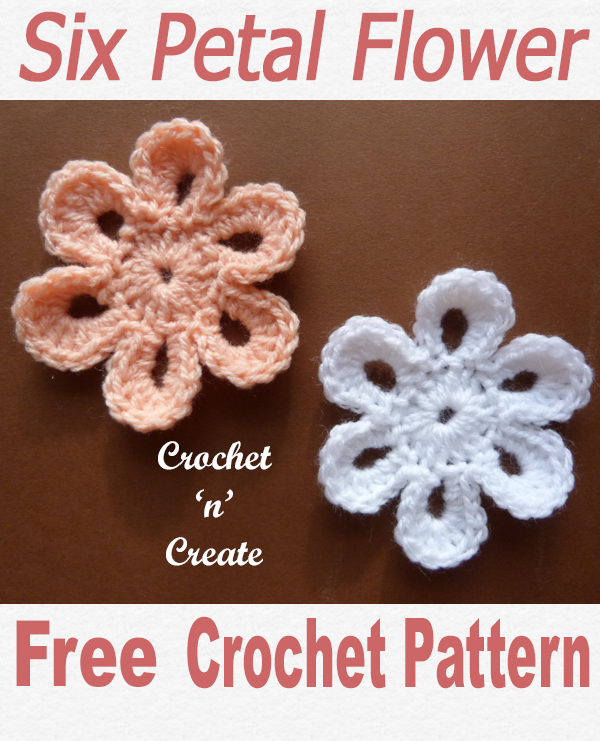 You are welcome to sell the finished products made from the crochet six petal flower free crochet pattern, I just ask that you please use your own pictures and put a link back to crochet ‘n’ create. 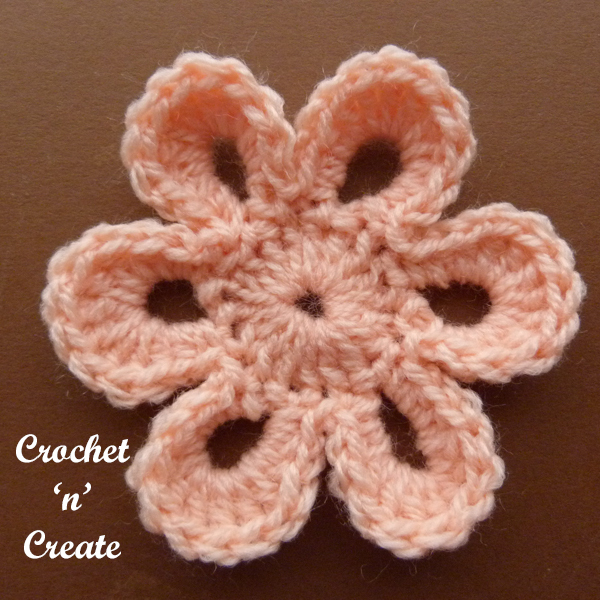 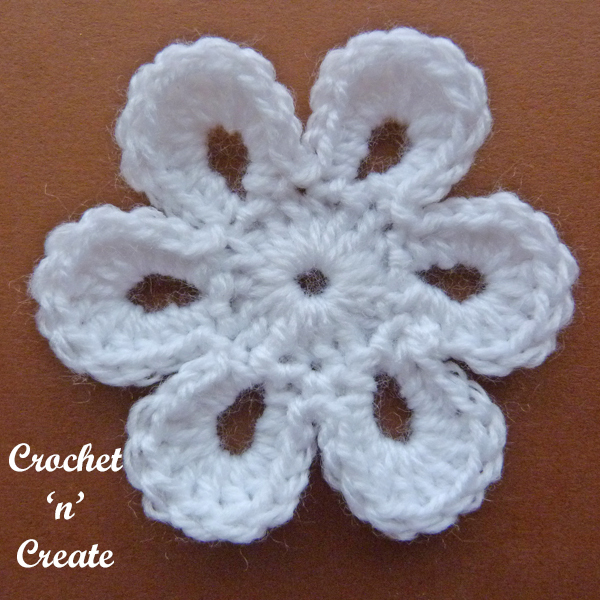 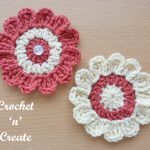 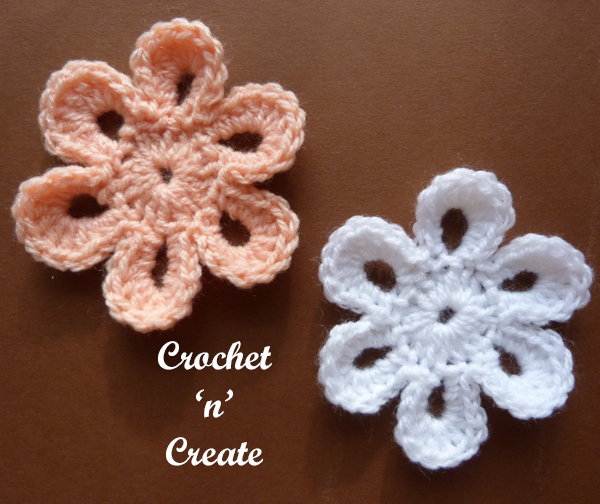 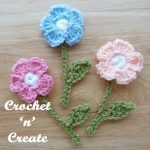 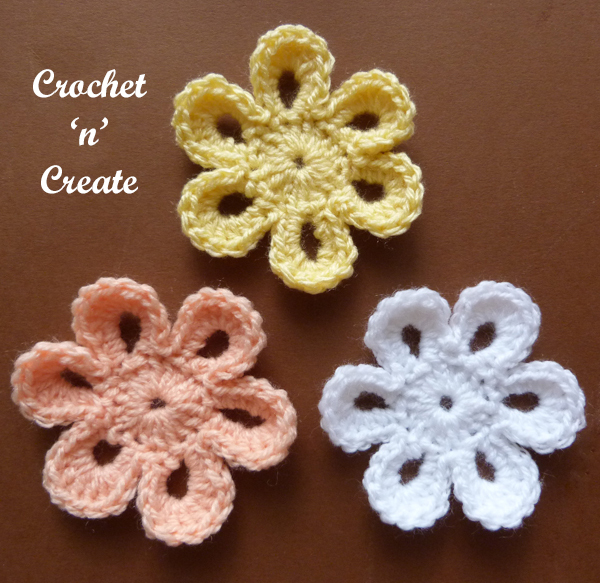 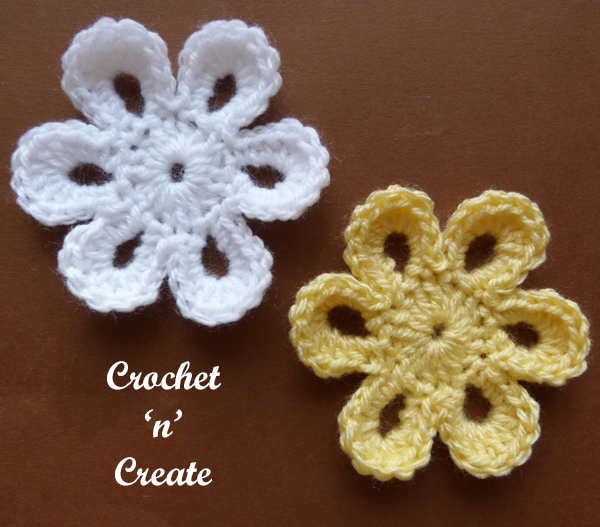 DO NOT share the written instructions for this crochet six petal flower free crochet pattern.